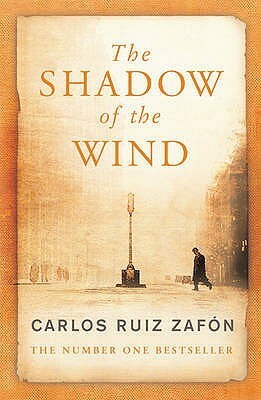 Synopsis: Barcelona, 1945: A city slowly heals in the aftermath of the Spanish Civil War, and Daniel, an antiquarian book dealer’s son who mourns the loss of his mother, finds solace in a mysterious book entitled The Shadow of the Wind, by one Julián Carax. But when he sets out to find the author’s other works, he makes a shocking discovery: someone has been systematically destroying every copy of every book Carax has written. In fact, Daniel may have the last of Carax’s books in existence. Soon Daniel’s seemingly innocent quest opens a door into one of Barcelona’s darkest secrets--an epic story of murder, madness, and doomed love. A boy, a book and a writer – this is the Holy Trinity of The Shadow of the Wind. The boy longs to untangle the yarns of a life that seems to be gone and past. He doesn’t expect to wake Laín Coubert with his meddling. He is none other than the Devil in the beloved book. I don’t remember ever reading a novel before that was set in Spain, but despite the writer’s clear efforts to enchant me with the enigmatic representation of Barcelona I loved the Shadow of the Wind for something else: the characterization. Now, many would argue that the city itself was a character in this case, but somehow it wasn’t the component that animated the whole book for me. There were people on these pages that could have easily stepped off them. You know those books that you only come across once in a while, in which you find protagonists and secondary characters you feel you have known your entire life? Well, this is one of those pieces of writing. (God, I wish I had a friend like Fermín Romero de Torres). I admired Zafón’s choice to hide so many parallels between Daniel and Julián in the book. 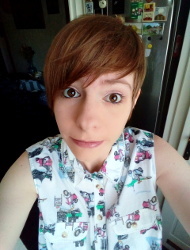 They made me confused, but in a good way, because thanks to them I was dying to get to know the nature of the connection between the youth and the writer. I was also pleased with the deliciously gothic locations (especially one) Zafón created; although not very original, it gave just the right milieu to parts of the tale. I’m usually easily creeped out by ghost stories and there was one certain part where I got the goosebumps and it was so so good. What I wasn’t quite happy with, was the ending, because I expected something else, something more mysterious, something more on the magical realism side of things perhaps – and that kind of closure I didn’t get. The only other thing that bugged me about the Shadow of the Wind was that sometimes the narrative just didn’t seem right: you can read recollections of characters of certain events that they couldn’t have possibly witnessed. But well, it’s just a ’technical’ issue I happened to notice, it didn’t really kept me from enjoying the story. All in all, The Shadow of the Wind is a wonderful novel and is totally worth the time it takes to read it.